The People’s Republic of China is the most popular destination for the investment of private equity in Asia. Private equity in China accounts for two-thirds of the total investment funds received in Asia. Off-shore funds: Off-shore holding companies are commonly called “red chip” companies because they hold assets indirectly or directly in China. In this type of a private equity fund, a Special Purpose Vehicle (SPV) acquires or invests in the stocks of the target company’s off-shore holding company. Often, the holding company holds a 100% interest in a Hong Kong (HK) intermediary company, which in turn has 100% interests in a Peoples’ Republic of China subsidiary. The 100% interests in the PRC subsidiary take the form of a “wholly foreign owned enterprise” (WFOE). The off-shore holding company is intended to be a listing vehicle in an overseas IPO in the future. The private equity investors in an offshore company exit after the IPO of the holding company. However, if the target company is a Chinese domestic entity which does not have an off-shore holding company, as a closing condition, private equity investors often require the target company to restructure into an off-shore structure so that the investors become shareholders of an off-shore holding company. It should be noted that the Provisions on Foreign Investors Acquiring Domestic Enterprises (Circular 10) issued in 2006 makes it difficult to convert a PRC domestic company into an off-shore company. Founders/owners of domestic Chinese companies require expert counsel to carry out the complicated and costly restructuring process. If the restructuring process is not successful, the foreign private equity investors have to directly invest in the PRC domestic company. This results in a Sino-foreign joint venture and once the Sino-foreign joint venture is converted to a joint stock company, it becomes eligible for listing on one of China’s stock exchanges. However, the approval of the IPO by CSRC (China Securities Regulatory Commission) takes a long time. Thus, it is difficult for private equity investors to invest in a domestic Chinese company if they want to exit using an IPO overseas. When are off shore funds used: the listing vehicle is structured as an off- shore holding company when the private equity fund intends to exit through an overseas IPO in the future, i.e., through an IPO listed on a stock market outside the PRC. The off-shore investment vehicle is incorporated as a company in a jurisdiction which is off-shore (such as the Cayman Islands). On-shore funds: In this type of a private equity fund, the private equity fund invests in an onshore domestic, PRC corporate entity through an off-shore SPV. The private equity company thus becomes a shareholder in the concerned on-shore coporate entity. When are on shore funds used: The listing vehicle is incorporated as an onshore PRC joint stock company if the private equity investors intend to exit by listing the target company on a PRC stock exchange. Management incentives and earn-out mechanisms are popular in PE transactions in China. Furthermore, founders are often bound by contract to not exit until the initial public offering (IPO) or a particular trigger event, such as a merger or acquisition. 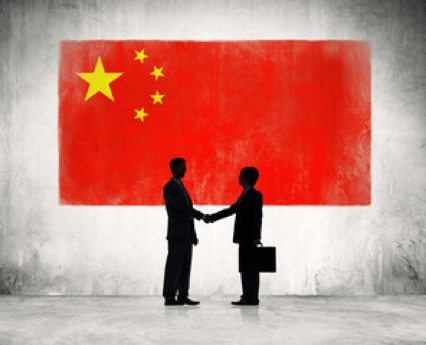 While structuring the terms of the deal, PE investors in China often focus on the responsibilities and roles of the management and the founders. Special emphasis is placed on structuring incentives for company management and the founders because they are a key factor in the success of a company in China. High returns: The Chinese private equity market offers higher returns on investment (ROI) than most private equity opportunities in western countries. Ability to scale private equity: Given the large size of the Chinese economy, a private equity fund, once established, has many opportunities to expand its business. This is further facilitated by the growing wealth of Chinese consumers, the opportunities created by “Made in China 2025” in the manufacturing sector, and the convergence of offline and online sales channels in China. Increasing investment opportunities: As China continues its transition to a market economy, entrepreneurial activity and competition will increase. This will result in a growing number of companies achieving the growth, size and management quality required to become eligible for funding from private equity funds. Furthermore, as deal flow in the Chinese economy continues to expand, even companies with slower than average growth will become potential private equity targets. Thus, the pool of investment opportunities will increase for PE funds. Increased convertibility of the Yuan: The inclusion of the Chinese yuan in the International Monetary Fund’s Special Drawing Rights (SDR) basket has enhanced the tradability and convertibility of the RMB. Good deals are becoming scarce in China; as a result, founders enjoy greater bargaining power vis-à-vis PE funds while negotiating transaction terms and the valuation of the target company. Company valuations remain much higher than average. Investment risk: Target firms in the Chinese market have become overvalued because a large number of private equity funds are chasing after a small number of target firms. Thus, due to the overvaluation of target firms, investment risk is gradually rising in China. Stricter due diligence than usual required: Given the lack of transparency in the information provided by the PRC government, reliable data about the economic activity of the country and a target company is hard to come by. Thus, the conventional due diligence checklist is not sufficient for looking into the soundness of companies in China. Foreign investors are required to look into the validity of the target company’s business certificates, the founder’s family background, assess their guanxi (i.e., a system of influential social networks which facilitate business), consider scandals that the founder has been involved in, and so on and so forth. Issues in corporate governance: In the structuring phase stage, foreign investors and/or new board members often come into conflict with existing board members due to differences in management style/norms. Difficulties in deal valuation: Western models of valuation rely on accurate inputs. However, these inputs are often not available in China because many small Chinese private companies do not have audited financial statements. Thus, valuation in China often relies on the ‘emotional valuation’ approach, which is often arbitrary and clashes with the hard-numbers approach. Legal concerns: Foreign PE investors often face opposition to change in the management stage. Furthermore, target companies often don’t honor their contracts, and penalties for not honoring the contracts are ignored. This is because a large number of Chinese companies think that contracts are negotiable, even after execution. The enforceability of contracts is further problematized by the lack of a strong (corporate) judicial ecosystem in China. Inability to exit: There are many barriers to exiting from PE investments in the People’s Republic of China. Thus, it is possible for foreign investment to get trapped in Chinese private equity deals. Concerns about the same are rising because the value and number of exits are declining. Furthermore, the exit mechanism is more complicated in China than it is in the US. This is because PE investments in China have a minority stake rather than a majority stake (as is usually the case in the US). This reduces exit flexibility because minority investors have to negotiate with the founders of the target company to reach an agreement, unlike majority investors who can drive the exit in the direction desired by them. Country risk: The regulatory decisions made by the Chinese government don’t only take into account economic and political factors, but also take cultural factors like nationalism and guanxi into account. Thus, there is a lot of uncertainty regarding the regulatory approval process in China. Exchange rate risk/currency risk: Up to 2005, the RMB was pegged to the USD and was thus relatively stable. However, in 2006 the Chinese government switched to a managed floating system of exchange rate management. In short, the RMB is allowed to float within a predetermined range. If the RMB breaches the set range, the Chinese central bank steps in to stabilize the currency. The managed floating system increases volatility and at the same time does not convey the true valuation of the Chinese currency. Furthermore, as the exchange rate is managed, it means that the currency can be devalued or appreciated without warning (as seen in 2015’s currency devaluation). Thus, foreign investors face considerable currency risk while investing in China. Top 10 PE FirmsTop 10 Private Equity FirmsWho are the top 10 private equity firms in the world? Our list of the top ten largest PE firms, sorted by total capital raised. Common strategies within P.E. include leveraged buyouts (LBO), venture capital, growth capital, distressed investments and mezzanine capital.